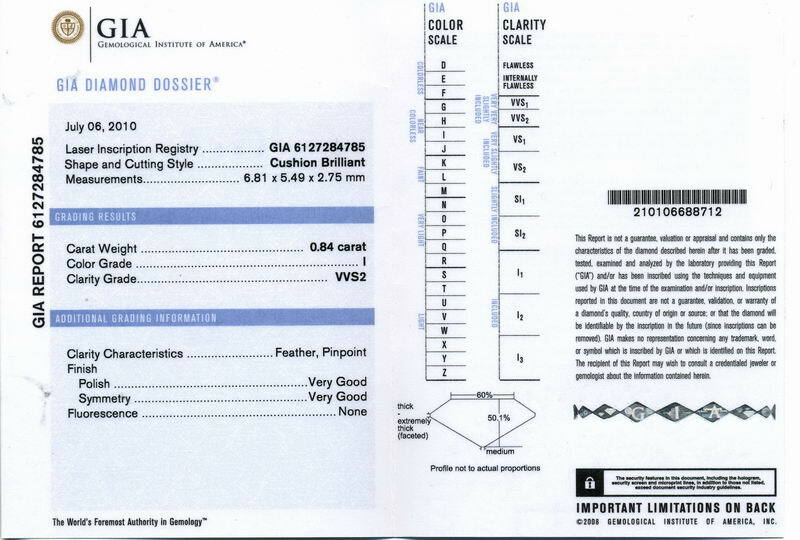 The GIA "Diamond Dossier" includes a laser inscription on the girdle of the diamond. Daussi cushions have a fairly distinct personality, and it comes through in the photos. The facets are generally pretty large, giving an extremely "chunky" type of flash. 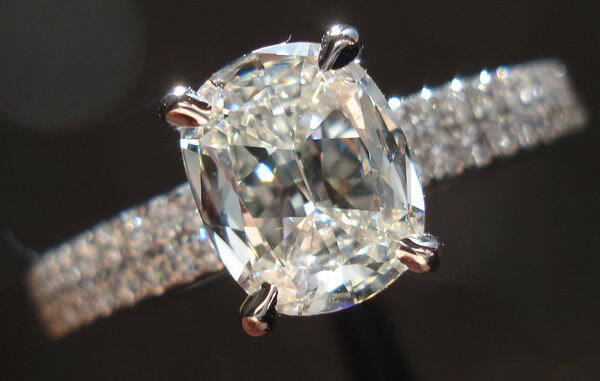 They have a lot of glitter- in some ways similar to an emerald cut, but in many ways, not. This stone is a beautiful example of the chunky look. In a way it reminds me of older vintage cuts. It truly has a lovely personality. The color is a very nice near colorless grading of I. The clarity of VVS2 means you will see absolutely no imperfections with the unaided eye. If you like the photos, you'll love the ring when you get it. 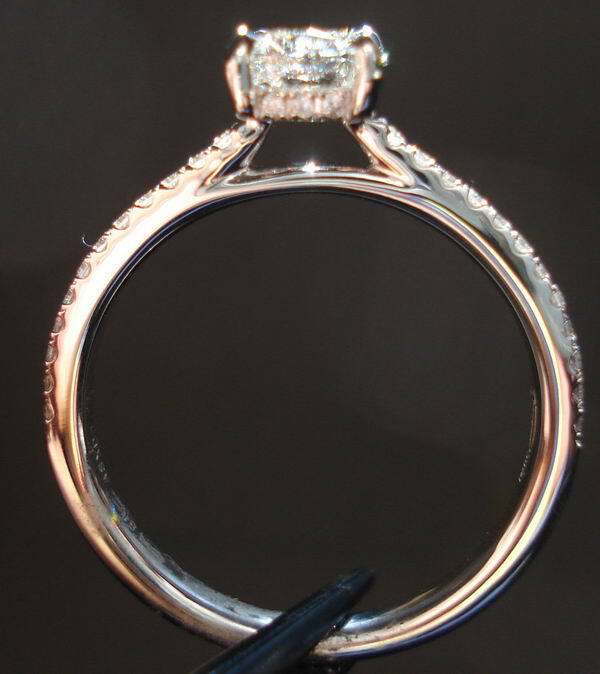 I love this design which is a single shank, with the head elevated. 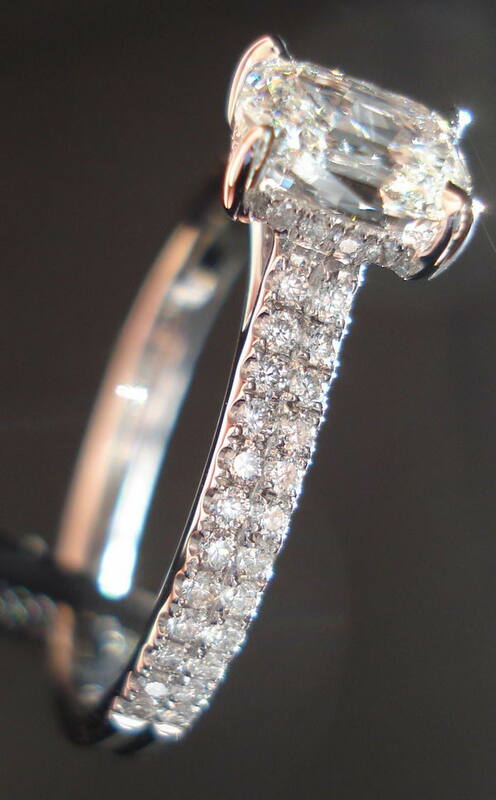 There are two rows of diamonds going up the side of the shank giving a lovely feminine look and feel to it. 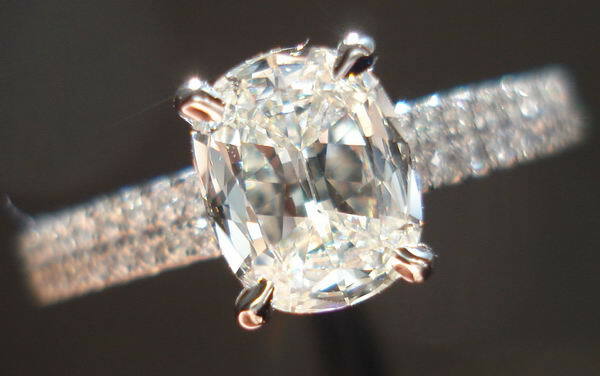 There are also diamonds around the head, adding sparkle from the side. The ring is substantial. 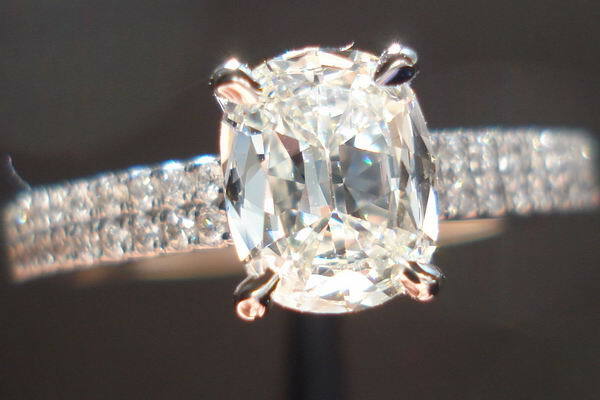 The side diamonds are beautifully cut. 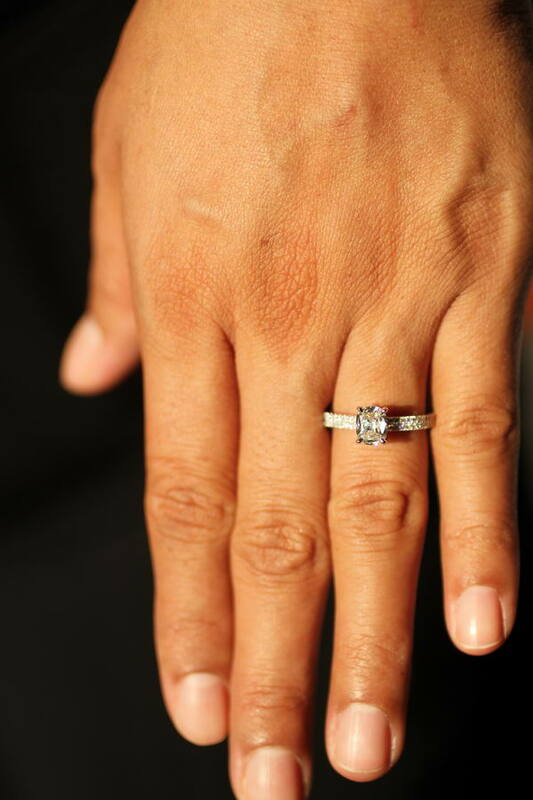 The way this ring is designed, you can wear it next to virtually any wedding band.